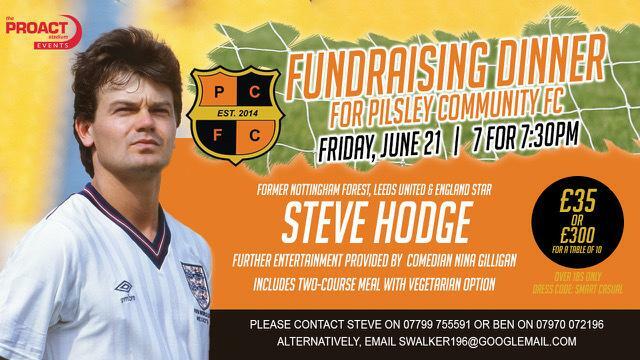 Come along to Proact Stadium on Friday June 21, for a fundraising sporting dinner with none other than Nottingham Forest, Leeds United and England star Steve Hodge. Plus, comedy from the hilarious Nina Gilligan. The evening includes a delicious two-course dinner and is in aid of Pilsley Community FC, and begins at 7 for 7:30pm. For further details and to buy tickets for just £35 or £300 for a table of 10, call Steve on 07799 755591 or Ben on 07970 072196 or email swalker196@googlemail.com.